*This blog is a repost (with bonus material!) of an original article published by The Hockey Writers. If you missed the debut of the Carolina Hurricanes' new uniforms earlier this week, you didn't miss much. This link will take you to a gallery showcasing the uniforms. Once you're done straining your eyes to detect even a vague differences between the old and new jerseys, check out the Carolina Hurricanes' post that explains the differences. If I sound a bit harsh, the reason is that I was hoping Carolina would seize upon this opportunity to rebrand their franchise in a way that better reflects their team's identity. That identity can be boiled down to one word. Spoiler alert: it's not "hurricane." No, the word that best reflects Carolina's identity is "Staal" and/or "Staals." It's no secret that Staals have been the main international export of Thunder Bay, Ontario. Furthermore, the Carolina Hurricanes have long been the main importer of Staals. Here's a brief history of North Carolina's Staal industry. 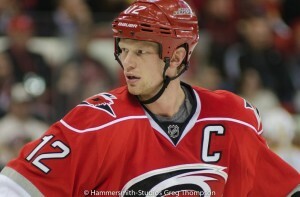 In the 2003 NHL entry draft, the Carolina Hurricanes selected Eric Staal with the second overall pick. 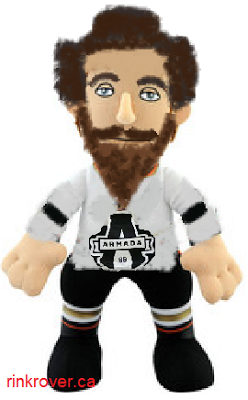 Eric is famous for holding a few franchise records with Carolina, being a member of the triple gold club, and claiming on international television that Toronto "is not a hockey market" before deciding not to take Phil Kessel with the penultimate pick in the 2011 All-Star draft. Yep, 28 January 2011 is the day Eric Staal made himself the enemy of Leafs Nation. On 13 May 2010, the Carolina Hurricanes acquired Jared Staal, youngest of the brothers, from the Phoenix Coyotes for a fifth-round draft pick. Jared is famous as the only Staal not drafted in the first round. Prove them wrong, Jared! 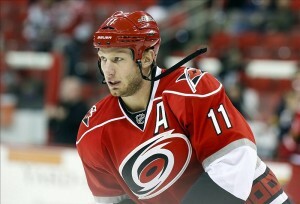 The Carolina Hurricanes' quest for a Staal trifecta would lead them to make a blockbuster trade at the 2012 NHL Entry Draft to acquire Jordan Staal from the Pittsburgh Penguins. Unverified sources claim that Staal wanted to leave the Penguins organization due to a severe Vitamin D deficiency that stemmed from playing in the shadows of Sidney Crosby and Evgeni Malkin. With three Staals assembled, it seems likely that Carolina will (sooner or later) go after Marc Staal of the New York Rangers because, um, why not? Marc Staal is perhaps most famous as the poster-boy for mandatory visors. For a discussion of how this new rule will ruin the NHL as we know it, check out this post. 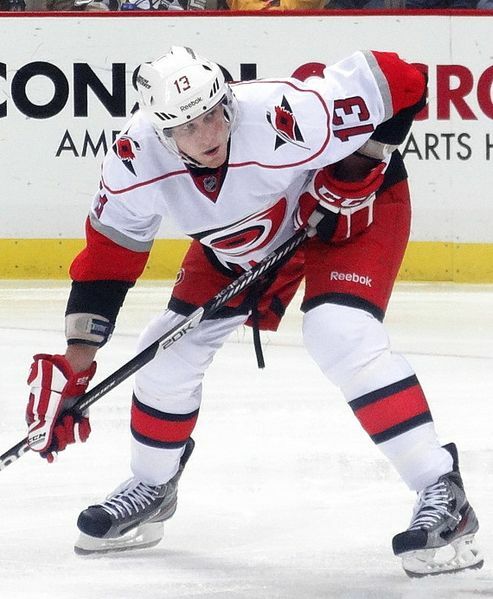 I've heard a rumour that Carolina would consider trading Jeff Skinner for the missing link in their Staal genealogy. Are the rumours true? Does that matter? Carolina is basically playing a game of Connect Four with Thunder Bay imports, so even if trade talks aren't active right now, they're certainly at the back of everyone's mind. So it seems that the ethos behind Carolina's franchise is that anyone can win a cup if they have enough Staals. It's as though they mistook the Hyrule Historia (a history of the fictional world in The Legend of Zelda video game franchise) as fact, and then hypothesized that the Brothers Staal were living embodiments of the fragmented triforce. 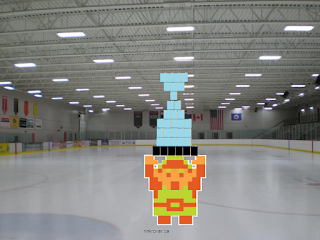 An artist's rendering of the Staal brothers fusing themselves together in order to win the Stanley Cup. Now, having established that the team's identity and ethos are both centered on the Staals, I thought I'd seize upon the Carolina Hurricanes' inclination (as evidenced by the "new" jerseys) to rebrand the team by offering up three name changes (as well as new jerseys!) that would better reflect the team's Staal-centric identity. 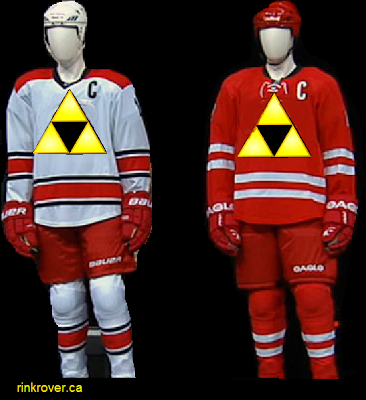 Drawing on the above picture of Link hoisting the Stanley Cup, I offer you jerseys for the Carolina Triforce. 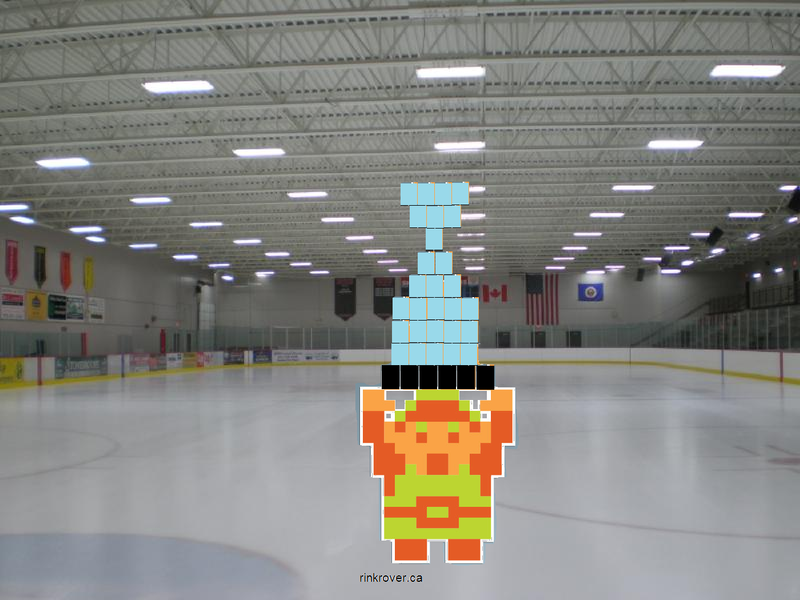 People might object to using this team name because I'm proposing that Carolina will have four Staals, a proposition that seems which seems incongruent with the moniker "triforce." If you look closely at the triforce, however, you'll see that it contains a fourth triangle created by the negative space formed when the three valuable pieces of this Nintendo artifact are combined. That incidental, unimportant triangle represents whichever Staal brother underperforms for the team in any given year. The underperforming Staal will figuratively represent that negative space as a black mark on the team--a black mark that is offset by the more lustrous performances of his brothers that year. With shaming tactics built right into the jersey, the Carolina Triforce are designed to chastise its star players into living up to expectations and competing fiercely with each other to be one of the team's three gold triangles. Can you think of a better way to motivate Carolina's corps? This idea isn't as creative as the first, but that's due to a problem with Carolina's current logo. As this mockup of jerseys for the renamed Carolina franchise shows, the Hurricanes' logo looks rather derivative of Pokemon. Is it mere coincidence that a franchise bent upon collecting all the Staal brothers happened to imitate the Pokemon logo? Conspiracy theory alert: the 'Canes planned to collect all the Staals before the brothers were eligible to be drafted. The organization even dared to leak this nefarious scheme through their logo prior to executing the plan. Your move, Dan Brown. 3. "Caroline Cavernous Rock Formations:" Your choice between two nicknames! The final two nicknames are both based on puns: The Carolina Mighty Staal-agmites, or, The Carolina Tight-Checking Staal-actites. Sure, it may seem foolish to name a team after a specific corps of players as they will inevitably be traded or retire at some point. However, I feel certain that at least one of the four Staals will set franchise records that will last for generations, so the nickname will be good for much of this century (perhaps longer). Rather than offer some sketches of each team, I thought I'd leave it to you, the readers of this post, to decide between The Might Staal-agmites or the Tight-Checking Staal-actites. (Incidentally, either nickname will let Carolina overtake The Los Angeles Angels of Anaheim as the team with the longest name). If enough people leave comments indicating which of these nicknames they'd prefer to see, I will design a picture of the winning jersey. I'll leave that possible sequel to this post up to you! As advertised, I plan to add extra things to some re-postings to make them more interesting. Today, I'm going to address an underlying an unresolved issue with my suggestion that Carolina Change its nickname. In many markets, changing a nickname will mean that the team's mascot also needs to be revised or released from employment. In terms of the Carolina Hurricanes, the very act of analyzing the team's name draws attention to the absurdity of its mascot: Stormy the Ice Hog. "Stormy Wants You" to take Carolina's NHL team seriously. Wikipedia's contributors claim that management chose this porcine mascot back when they considered naming the team the "Carolina Ice Hogs" in honour of North Carolina's many contributions to the pork industry. 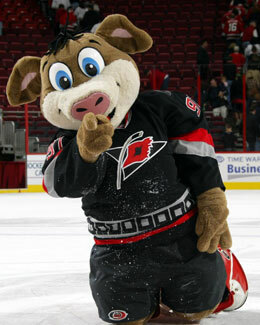 In order to distance their mascot from the abandoned concept of the team's name and identity, the Hurricanes decided to name the pig "Stormy." So what will happen if Carolina chooses another nickname that requires them to dismiss their current mascot? Will Stormy's last appearance at the PNC Arena be between hot-dog buns on Stormy Depreciation Night? Fear not: there's a place for Stormy outside of the slaughterhouse. Apparently, there already is a professional hockey team with a nickname that would accommodate Stormy: the American Hockey League's Rockford IceHogs. Sure, Stormy will have to challenge Hammy (Rockford's current mascot) to a fight to the death in order to take over the team's mascot duties, but at least he has a fighting chance to survive. Conversely, an unemployed Stormy wouldn't last a day of wandering like a vagrant in a state that is essentially a giant slaughterhouse for swine. In place of Stormy, the franchise (located in Raleigh, North Carolina) can select a mascot that better reflects the region and its past. I am, of course, referring to my own mascot creation: Sir Walter Raleigh! As an added bonus, this mascot can quote lines from Raleigh's works while taking pictures with fans. For instance, he could offer the following words of wisdom to fans who feel anxious about the team's place in the standings: "Fain would I climb, yet fear I to fall. Go 'Canes?"